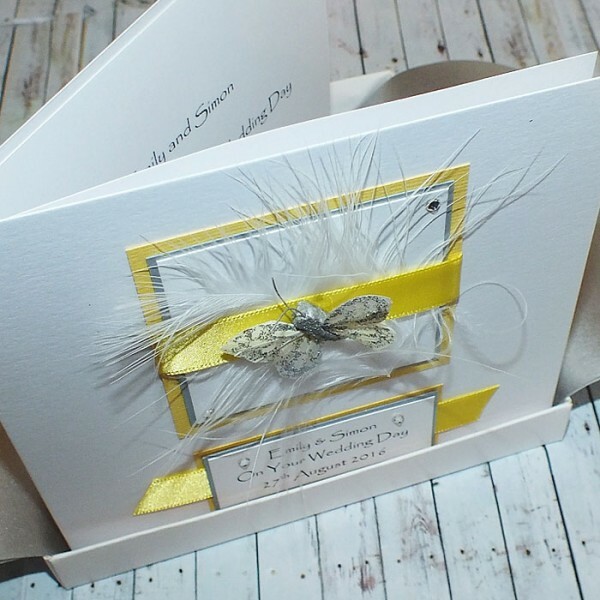 Handmade Boxed Wedding Day Card "Yellow & Silver"
Personalised for a wedding day, wedding anniversary or other special celebration, this card features a silver sparkly feather butterfly mounted on pearlescent cards and white feathers. Embellished with Swarovski diamontes and a satin ribbon. 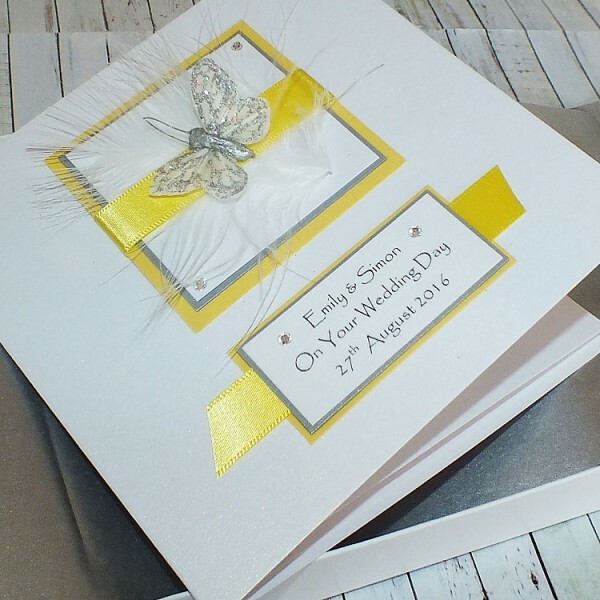 Created on lovely white pearlescent card with a matching pearlescent insert. 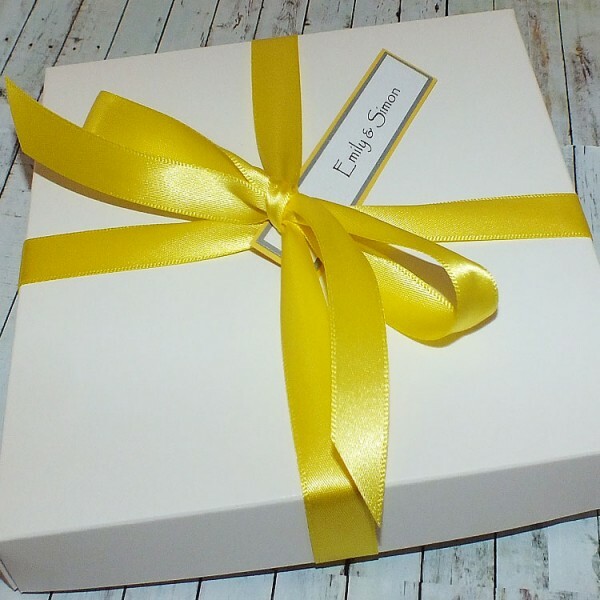 The card is also suitable for other wedding anniversaries, wedding day, birthdays and other special occasions - simply enter your own choice of wording for the front of the card in the box at checkout . 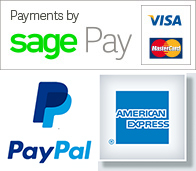 There is no charge for your own personalised wording. Handmade Boxed Wedding Anniversary Card "Silver & Lilac" Personalised for a wedding anniv..